This entry was posted in Recitals on 29/09/2017 by David. 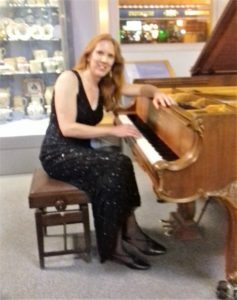 Sunderland Pianoforte Society celebrated the 75th season with a recital by former member Sarah Beth Briggs who delighted the audience with a varied and interesting programme. The recital started with the Italian Concerto BWV 971 by Bach which was given with great authority and clarity. The Mozart sonata in F, K332, followed this and again was given a good, thoughtful performance. The first half of the recital ended with the rarely heard Beethoven sonata, op. 90. After the interval we moved to the more romantic music and were treated to the Sonatina in A minor by Hans Gal, a composer who was born in Vienna in 1890 but moved to Edinburgh in 1939 and was one of the founders of the Edinburgh Festival. This was really beautiful music and very well played. It is worth mentioning that it was its first performance in Sunderland and well received by an appreciative audience. We then heard Two Arabesques by Debussy then the Schumann Arabeske, op. 18. The evening ended with a powerful performance of the Chopin Ballade No. 4 which presented no technical difficulties to Sarah Beth Briggs despite being one of the most challenging works in the piano repertoire. However, the audience wanted more and were given a soothing encore of Traumerei by Schumann. 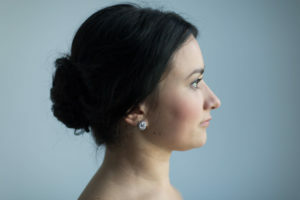 Newcastle born Sarah Beth studied with the late Denis Matthews and her professional career was launched at the age of eleven when she became the then youngest ever finalist in the BBC Young Musician of the Year. Sarah’s playing takes her to many countries and she enjoys balancing a successful solo career with numerous chamber music engagements. Her most recent venture is a piano duet partnership with James Lisney. The Society is grateful that Sarah has been able to perform for our special season and we look forward to following her career in the future. This entry was posted in Recitals, Reviews on 21/09/2017 by David.